Simple but stylish farm house table. 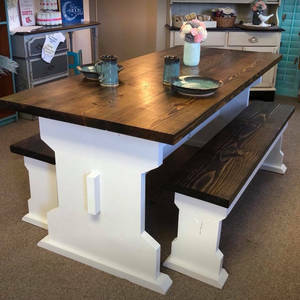 Stained top, painted legs with benches to match. Made from 2x12 Lumber. Wonderful job on this build!